When you decide that you want to enhance your workouts and you may begin to consider supplements. Then, you’ll probably ask yourself which ones are the best ones to take. Well, here’s everything you need to know! First of all, supplements go hand in hand with a healthy, balanced diet. When eating healthy, supplements can help give a good boost to your workout, but you need the basics first. That means lots of water, adequate lean protein and twice as many fruits and veggies. Cut the fat, sugars & processed foods. Next, know that many people will say that supplements are not good for you, but research has shown that these natural supplements are very safe and can be quite effective for your workouts. 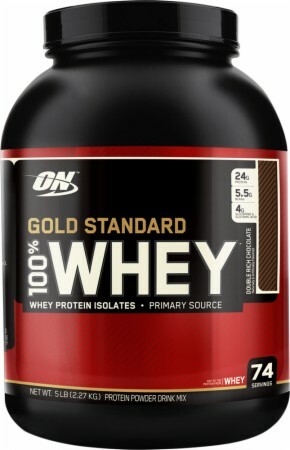 The most popular supplement for building muscle mass and losing weight fast is whey protein powder. Whey protein gives our muscles the amino acids it needs. In fact, many doctors have used whey protein powder on patients that have had surgical procedures to help with the healing process. There are many different brands of whey protein that are top quality and all of them can be mixed together with fruits, milks and juices. Take time to check out all these whey protein products and see which may work best for you. If you are eating a good diet with fruits, vegetables, legumes and lean meats you are probably meeting your vitamin requirements for the day (but who actually does this everyday). But, when you combine working out with your routine, your body is going to need additional vitamins to help your body recover from demanding workout sessions. A daily supplement should be enough to cover the additional need. Look for a vitamin that includes some of the branched chain amino acids, as well as some antioxidants. Most people know that creatine is a great way to build and tone muscles. Creatine is an all-natural supplement that has had a lot of attention the past few years. Olympic athletes have been known to take creatine to help with building muscle. We do have a natural way of getting creatine to our bodies through meat, but that may not be enough when you are working out intensely. When taking creatine, it helps the body use energy and store energy for those demanding workouts. It can give you that additional boost that helps you get through those last reps.
Omega 3 is becoming a popular supplement for good cardiovascular health. It also helps with cognitive functions. They work to help the body rebuild cells, as well as help the muscles grow faster. Omega 3 is something that our bodies won’t create themselves, so it’s important to add them to our diet. Casein protein is in many ways similar to whey protein, but it takes our bodies double the time to digest it. This provides protein more consistently through the day and night, almost as if it was time-released. The good news about casein protein is that it keeps the amino acids in our muscles at a steady rate. Taking casein protein a couple of hours before bedtime will allow the body to work digesting it while you sleep. All of the natural supplements listed above are safe and have been tested. Trying out different supplements yourself to see what works best with your body is a good idea, and never think that you can substitute exercise or a healthy diet for them – they are just SUPPLEMENTS – that means they must be in addition to something!! Jenna Tyler writes about health, money matters & saving cash at www.travelinsurance.org. This entry was posted in Bodybuilding, Supplement Review and tagged bodybuilding supplements, Casein, Creatine, Whey Protein by Russell Jensen. Bookmark the permalink.